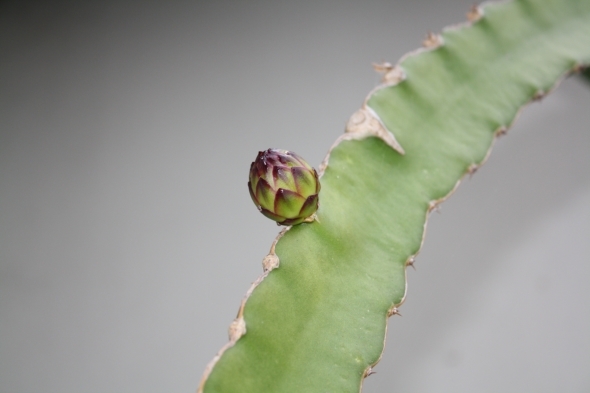 Our Dragon Fruit is budding again as it did about this time last year. I have been watching and waiting and despite my regular observations it was my wife who spotted the actual buds and brought them to my attention. A couple of days at work can make a difference. 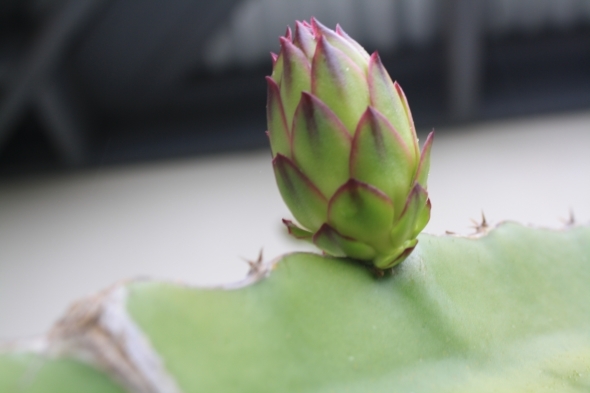 So this year we will be around to nurture it through and hopefully have some pitaya fruit to show for it at the end. We were not around much when it started to fill its fruit last year and they were eventually shed from the plant under stress. It is such an amazing process to watch as it unfolds and each day they are a little different. Last year the plant had about five flowers. This year it looks like there are nine. That is what I’ve counted thus far.